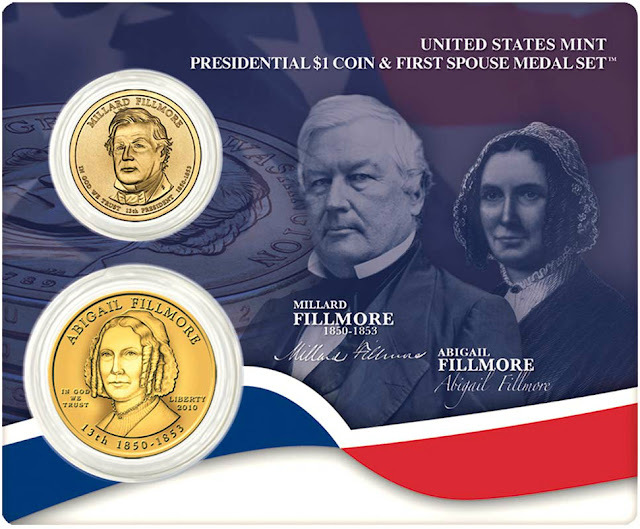 The 2010 Millard Fillmore Dollar continued the series honoring the former Presidents of the United States in the order served. This was the first issue of the year and the thirteenth release for the series overall. 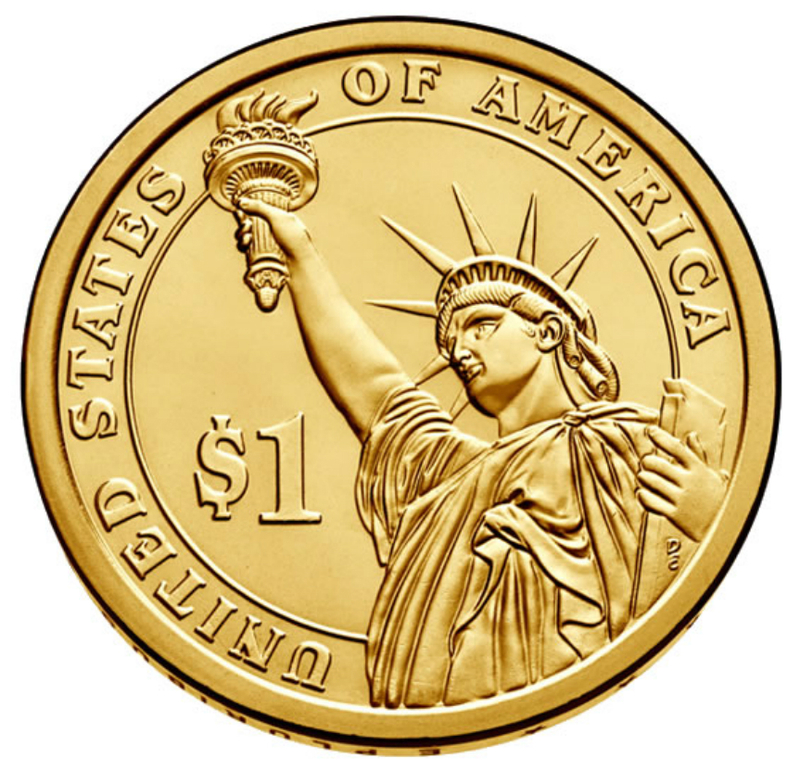 The coins were officially released into circulation on February 18, 2010. After briefly practicing law, Millard Fillmore entered politics and served as an assemblyman in the state of New York. He went on to be elected to the House of Representatives, where he would chair the Committee on Ways and Means. He served as Vice President under Zachary Taylor and assumed the Presidency following Taylor’s death in 1850. He would serve as President for the remainder of the term until 1853 and make two unsuccessful bids for reelection. An official launch ceremony for the Millard Fillmore Presidential Dollar was held in Moravia, New York. The ceremony was co-hosted by the United State Mint and the Cayuga-Owasco Lakes Historical Society. A separate, unofficial ceremony was held in Buffalo, where Fillmore had retired and served as first chancellor of the University of Buffalo. 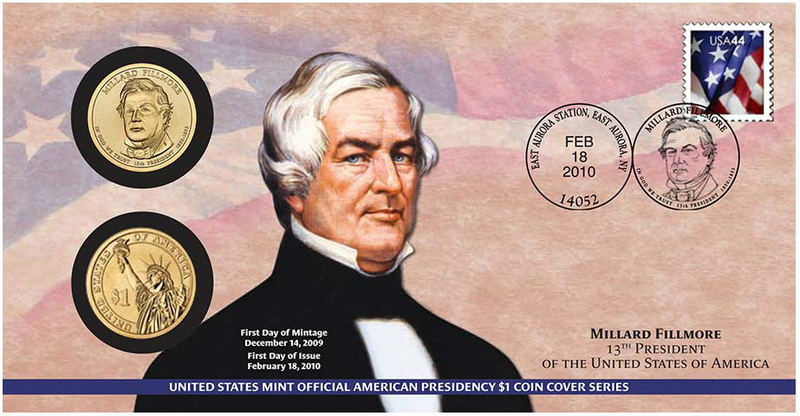 The obverse of the Millard Fillmore Dollar features a portrait designed and sculpted by Don Everhart. 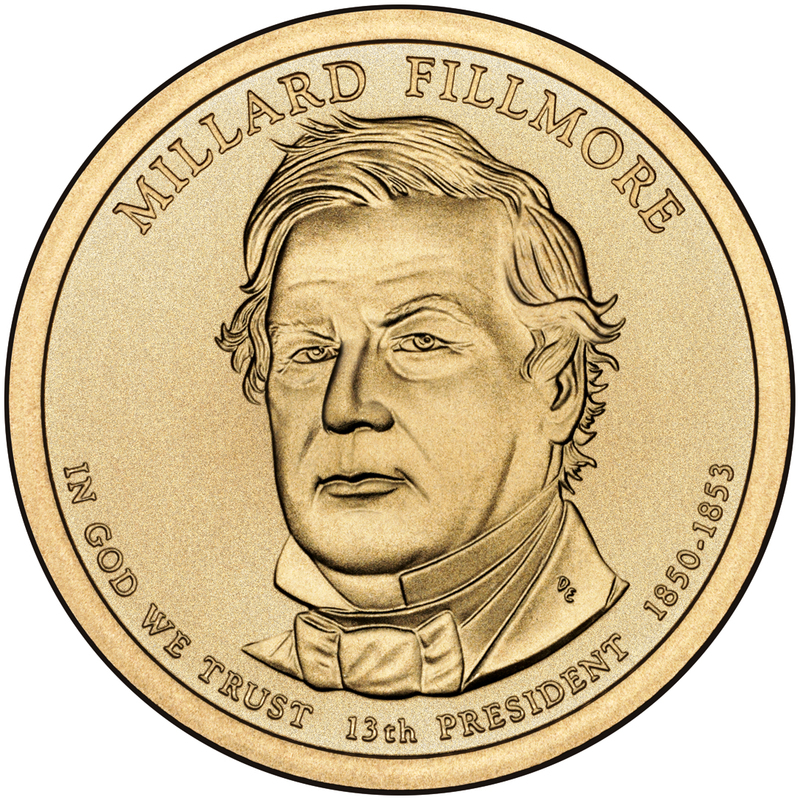 The obverse inscriptions read “Millard Fillmore”, “In God We Trust”, “13th President” and the years served “1850-1853″. 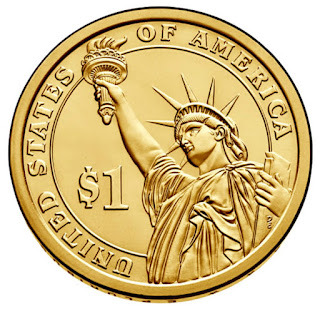 The reverse of the coin features the Statue of Liberty, also designed by Everthart, with inscriptions include “United States of America” and the denomination “$1″. The date, mint mark, and motto “E Pluribus Unum” appear on the edge of the coin. The Millard Fillmore Dollar was struck for circulation at the Philadelphia and Denver Mints. The total mintage across both facilities was 74,480,000, which represented the lowest overall mintage for the series to date. A lower figure would eventually be seen for the James Buchanan coin issued later in the year. Millard Fillmore (January 7, 1800 – March 8, 1874) was the 13th President of the United States (1850–1853), the last Whig president, and the last president not to be affiliated with either the Democratic or Republican parties. Fillmore was the only Whig president who did not die in office or get expelled from the party, and Fillmore appointed the only Whig Supreme Court Justice. As Zachary Taylor's vice president, he assumed the presidency after Taylor's death. Fillmore was a lawyer from western New York state, and an early member of the Whig Party. He served in the state legislature (1829–1831), as a U.S. Representative (1833–1835, 1837–1843), and as New York State Comptroller (1848–1849). He was elected vice president of the United States in 1848 as Taylor's running mate, and served from 1849 until Taylor's death in 1850, at the height of the "Crisis of 1850" over slavery. When the Whig Party broke up in 1854–1856, Fillmore refused to join the Republican Party. Other conservative Whigs joined the American Party, the political arm of the anti-immigrant, anti-Catholic "Know-Nothing" movement, though Fillmore did not join the American Party. While out of the country, Fillmore was nominated by the American Party candidate for President in 1856, but finished third in the election, surpassed by the Republican Party candidate. During the American Civil War, Fillmore denounced secession and agreed that the Union must be maintained by force if necessary, but was very critical of the war policies of President Abraham Lincoln. After the war, he supported the Reconstruction policies of President Andrew Johnson. 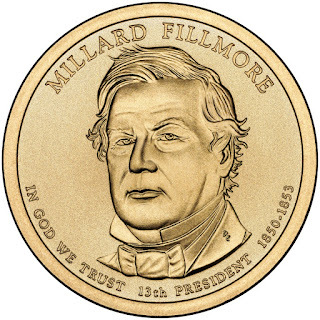 Although some have praised Fillmore's restrained foreign policy, he is criticized for having further aggravated tensions between abolitionists and slaveholders, he is placed near the bottom 10 of historical rankings of Presidents of the United States by various scholarly surveys.